You are probably wondering at this point what to do if you can’t eat sugar, drink milk, or eat grains. So I thought I would provide some creative substitutes that I have found useful. There are so many artificial sweeteners and sugar substitutes out these days it’s hard to tell what is good and what isn’t. The “natural” label has been used to deceive us in a big way with these. It is important to understand what each alternative really is. There are only two that I would consider: Stevia and Coconut Crystals. I have provided information on some of the other popular ones for your convenience. My favorite sugar substitute is Stevia Leaf. It is a natural herb sweetener that does not involve a ton of processing or additives and it doesn’t take much! You can get Stevia in leaf form, powder form, tabs, or liquid form. The powdered form has inulol in it as well, which is a prebiotic that helps with digestive flora. Stevia does have a bit of an aftertaste if you use too much of it, but after weaning yourself off of sugar, you will find you don’t need much to take the edge off of things, and that reduces the aftertaste. I used to use 6-8 tsp. of sugar in one cup of coffee. Now I use 2-4 drops of Liquid Stevia instead. I personally prefer the liquid Stevia because it mixes easily, and you can get a variety of “flavored” ones. I use the Stevia Clear (unflavored) for cooking, the English Toffee flavored for my coffee, and the Vanilla Creme flavored for unsweetened yogurt. I drink coffee every day, and one small bottle of liquid Stevia lasts me at least 6 months. 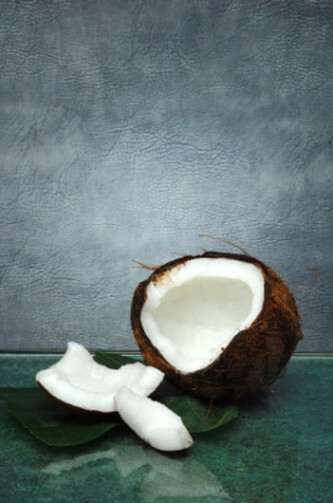 Coconut sweeteners are a fairly new addition to safe alternative sweeteners. They are great for those who just can’t do Stevia because of the taste difference. It is low glycemic, so it is okay for Lyme and Candida patients. Not the best, but better than sugar. Coconut Secret was developed by a brother and sister who were trying to find healthy alternatives for their parents when they became diabetic. The result of their efforts is noteworthy and I thank them for it! Their sweeteners contain amino acids, minerals, vitamins, and a nearly neutral pH. They also have some wonderful recipes on their website. When asked about Candida, they responded kindly: “On the question of Candida, let me say that it is our general belief that the sap of the coconut tree from which four of the five products we offer are derived is truly amazing and encourages well-being in many ways. Not only is it packed with vitamins, minerals and aminos but it also has pro-biotic qualities and thus it serves to promote overall digestive health. See the links to the right for more information on the many benefits of Coconut. Another option for those who just can’t handle Stevia is Xylitol. This is highly processed but it is made from natural fruit sugars and it does have properties that kill Candida and prevent tooth decay, so it works well. In small amounts, it is generally recognized as safe. However, in large amounts it can cause diarrhea and has been implicated in Cancer. Please be aware that some products that claim to be Xylitol contain chemical sweeteners that are not natural, and these can be toxic. Be sure to read the ingredient and confirm the product contains only 100% pure Xylitol. While it is not my first choice, it is certainly better than sugar. NOTE: Xylitol is toxic to dogs. Do not feed them anything that contains even small amounts of Xylitol. Some natural toothpastes contain Xylitol, so keep away from pets. Erythritol is similar to Xylitol in that it is made from sugar alcohols. It does not raise blood sugar so it does not feed pathogens. However, it is made from corn. Unfortunately, unless it is made from a certified organic source, there is a good chance that it is made from Genetically Modified corn (please see the Processed Foods page). For this reason alone, I would steer clear of it. It has also caused some negative side effects such as gas, bloating, back pain, headaches, nausea, digestive disorders, etc. You may be wondering why I have not listed some popular sugar alternatives such as Honey and Agave Nectar. Honey, in its raw and unprocessed form does have many beneficial nutrients and enzymes that are commendable. These nutrients are destroyed when honey is heated above 118 degrees F. Unfortunately, the body processes it the same as regular sugar. When fighting Lyme or Candida, it will feed these pathogens. Agave Nectar has become the latest and greatest health food trend. Unfortunately, it is just a “natural” alternative to high fructose corn syrup. This is a prime example of why natural is not always better. The manufacturing process that takes place removes all natural aspects of the agave nectar, and replaces it with another version of highly processed sugars. Avoid it like the plague. Milk is hard to give up, especially if you are a milk drinker or love your morning cereal (see the Dairy page). Chances are you’re going to give up cereal, too, since it is impossible to find one that is health worthy and worth eating. So what can you use instead? There are many milk substitutes out there, soy milk, almond milk, etc….I have found that most of those have an odd taste to them and curdle in coffee. Each has their individual issues. Soy should generally be avoided anyway because it causes hormonal imbalances which can cause Candida issues. Almond milk is “okay.” It is a nut, so there are issues with anti-nutrients, etc… It should be used sparingly if at all. Coconut Milk (unsweetened) seems to be the best option although it is not perfect. The only downside I see is it contains guar gum and Carrageenan. Guar gum is a bean gum and can cause some digestive problems if used in excess. Carrageenan is derived from seaweed. It is mostly harmless but in some instances, when used in large amounts, it can cause inflammation and depress the immune system. I was never a milk drinker, so I really only use it in coffee or “cream” sauces and soups. Used in this amount, I feel it has some health benefits and the risks are low. Unfortunately, they are unable to make unsweetened coconut yogurt because the probiotic cultures need sugar to eat. Since there is no dairy in it, they have to introduce some sugar. They do, however, make sugar free ice cream that is at least low glycemic, but not 100% without some form of sugar/carbohydrate. The unsweetened versions are good, but contain Erythritol. Olive Oil is a very good cooking oil. Macadamia and Sesame Oils also have health benefits. It is always better to buy organic cooking oils. Contrary to popular belief, Coconut Oil is actually very good for you provided you buy it raw, unfiltered, and NOT hydrogenated (preferably organic). It has saturated fats that are digestible, unlike other saturated fats, and it has properties that actually help raise good cholesterol, lower bad cholesterol, is a great source of essential fats, and has natural anti-fungal, anti-viral, and anti-bacterial properties. It also has health benefits for the skin and is great for use in soaps and massage oils. It does have a coconut taste, so it isn’t good for all cooking (like Mexican spiced meals, does not go well with that at all), but for the most part it is a great addition to any meal. You can also take Coconut Oil supplements. Two table spoons a day keeps Candida away! So what do you do without vinegar? No sauces, no salad dressings, no more tang? Don’t worry, there are other creative ways to make your food taste good. See the Seasonings, Elimination Diet, and Anti-Nutrients pages for more information on Vinegar and Fermented Foods. Coconut Secret Vinegar is “raw, natural and rich in enzymes that aid in digestion while helping to restore the natural balance of bacteria.” They also make Coconut Aminos, Coconut Nectar, Coconut Flour, and Coconut Crystals. I can’t say enough about coconut, and anything made with it is good enough for me! Braggs Raw Unfiltered Apple Cider Vinegar can be used sparingly without worry because it has anti-fungal properties. It is not my first choice, especially since Coconut Vinegar has proven to be so much more nutritious, but it can be used for dressings and sauces. Bragg’s also makes Liquid Aminos which are a great substitute for Soy Sauce. Not my first choice with Coconut aminos being available. Another alternative to add tang to any recipe that you normally get from vinegar is to use Unbuffered Vitamin C Crystals (must be unbuffered for the tang). This has obvious health benefits and is a good alternative as an additive to sauces and dressings. If you are going to cut out grains, you will probably notice right away that you feel as though something is missing from meals, due to our addiction to them (see the Grains, Legumes, Nuts & Seeds page). Here are some creative ideas I have learned along the way to help with this. Cauliflower can be used in place of rice and grits. If you have a food processor, use the grater blade and grate the cauliflower raw. Then add to your favorite sauce or soup at the end (only needs about 1-3 minutes to cook!). If you want to have it as a side, you can steam it slightly first, then grate it and add spices or butter (if you use butter). It has the same texture, and it will fill you up. In place of noodles, you can always use Spaghetti Squash. It can be bland, so I recommend using a little bit of stock in the pan you steam it in. Or, sauté lightly with garlic after it is cooked. You simply cut the squash in half lengthwise, put it face down in a baking dish with water or stock, and bake until tender. Then, using a fork, pull out strings of squash. Voila! Noodles! One other option for noodles is to julienne Zucchini or Yellow Squash (remove seeds). You can make them any size or shape you want. For ease, you can use a mandolin to do so. Then sauté with garlic, onion, and/or your favorite spices. Again, noodles. To replace mashed potatoes, you can puree cauliflower, carrots, fennel bulb, or turnips. Add some unsweetened Coconut Milk, perhaps some butter, spices, and it makes a good replacement. This is so easy and versatile. You can add any flavor you want to it (see the Recipes page). On occasion, sweet potatoes can be used, but do so sparingly as they are high carbohydrate. They do have some great nutrient values and health benefits if used in moderation. You may want to skip your fruit that day in this case. If you do eat any form of potato, leave the skins with them, even if mashed. This helps keep it a complex carbohydrate which results in lower blood sugar levels than without. You could also use sliced turnips or carrots instead of sliced potatoes and cook the same way. Or roast larger pieces like you would potatoes. For more substitution and recipe ideas, I highly recommend the Primal Blueprint cookbooks, which have some great ideas and is where many of these ideas came from. You can also visit the Recipes page for ideas. Food should taste good, and be good for you. Agave Nectar: Good or Bad?